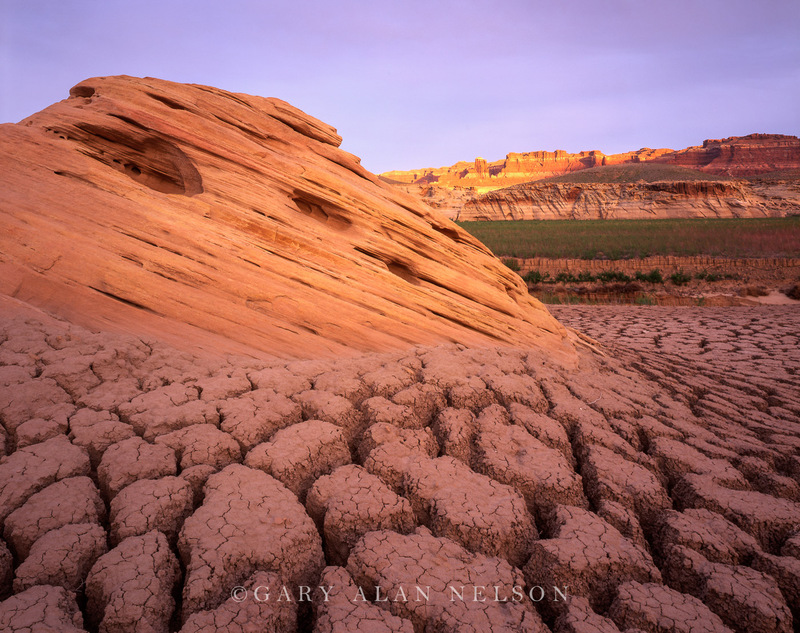 Dried lake bed and sandstone formations along the Dirty Devil River, Glen Canyon Ntl. Recreation Area, Utah. Photo © copyright by Gary Alan Nelson.